The Weston Pro Advantage is one of our highest rated vacuum sealers. It lacks some of the convenience features found in the FoodSaver models, but is a higher quality and more durable machine. 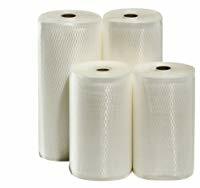 It seals wet/dry foods, has pulse functionality, and has an accessory port, so you can add a hose to seal containers/canisters. This model may be more expensive, but it's one of the highest quality models we tested. $149.99 Current Price - YOU SAVE $66.67. 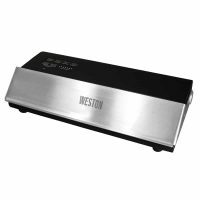 The Weston Pro Advantage is one of our highest rated vacuum sealers. There's very little not to like about this model. 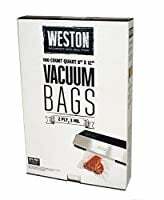 All of the Weston products are extremely high quality. 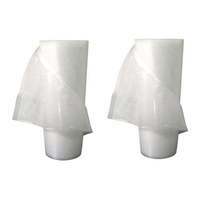 They are mostly metal construction, compared to the polycarbonate (plastic) used by other manufacturers. 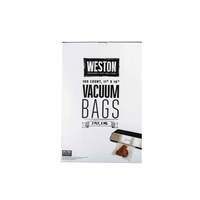 This model can seal bags up to 11" wide, if you need to seal wider bags look at the Weston Pro-2300 which can seal bags up to 15" wide. 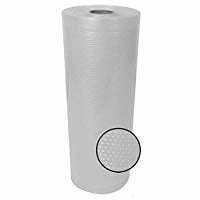 The sealing process is manual you place the bag across the sealing bar, press both sides down until you hear a click and then press seal/vacuum seal depending on which operation you want. 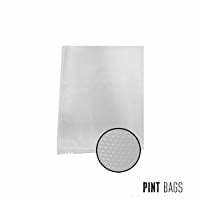 It can seal both wet and dry items, and the sealing plat is angled to prevent moisture from being drawn up into the bag. The suction process is very strong on this model, so if you're sealing anything delicate be sure to use the pulse mode. The controls on this model are all located on the top of the unit and are easy to read and understand. 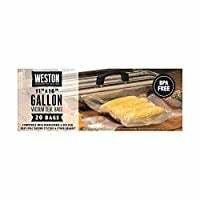 This model is best suited for someone who will do a lot of vacuum sealing, or appreciates the quality of a professional commercial grade appliance. There are a few negatives with this model, but really they are minor issues. 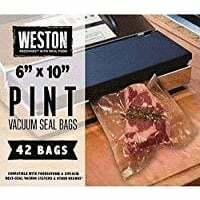 The first is the lack of on-board bag storage, once you've used a FoodSaver Vacuum Sealer you appreciate the convenience of having a bag roll stored with the machine. The second issue is the price, the quality and workmanship is well above average, and that's reflected in the price. Another aspect to be aware of is this is model has a manual sealing function, again once you've used an automatic sealer you appreciate it's convenience. The vendor claims this model has "automatic sealing". It doesn't, machines with automatic sealing grab an open bag and seal it, this model requires you place the bag on the sealing bar and press a button, not automatic. While this model does come with an accessory port, the accessory hose is an add-on purchase. Lastly this unit is low and wide, which means it takes up slightly more counter space than the vertical models. If you would like some of the convenience saving features and don't mind taking a step down in quality look at the FoodSaver FM5200 which is our highest rated model. 18" x 10" x 6" 10" x 16" x 18" 10" x 18" x 10"